These turbulent clouds are on top of the world at Saturn. 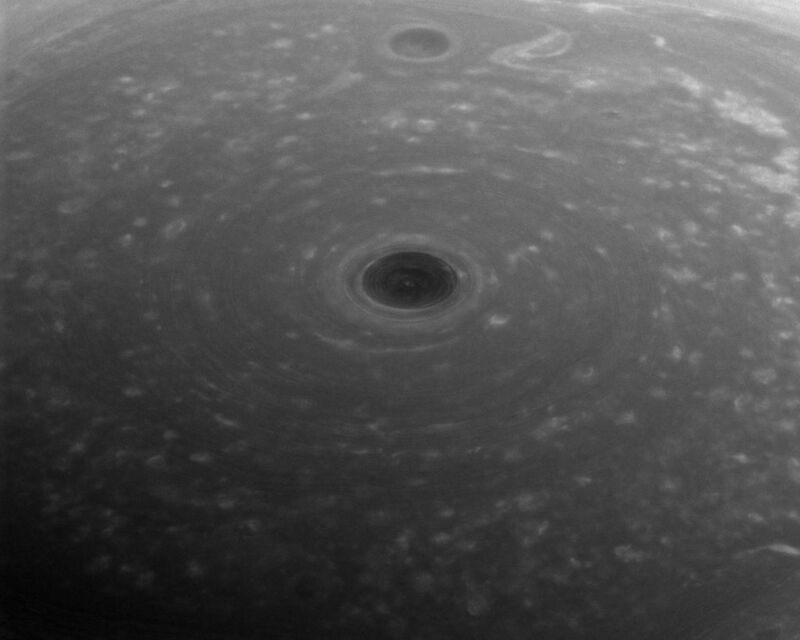 NASA's Cassini spacecraft captured this view of Saturn's north pole on April 26, 2017 - the day it began its Grand Finale -- as it approached the planet for its first daring dive through the gap between the planet and its rings. Although the pole is still bathed in sunlight at present, northern summer solstice on Saturn occurred on May 24, 2017, bringing the maximum solar illumination to the north polar region. Now the Sun begins its slow descent in the northern sky, which eventually will plunge the north pole into Earth-years of darkness. 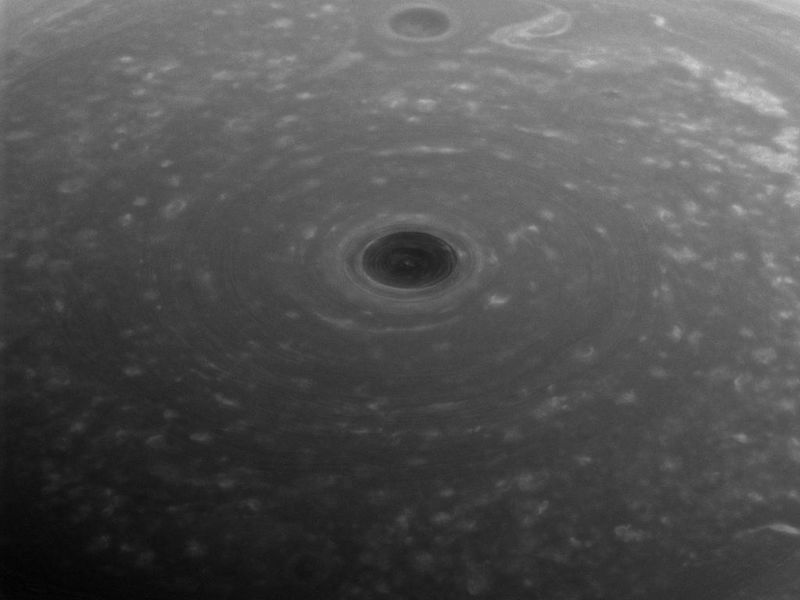 Cassini's long mission at Saturn enabled the spacecraft to see the Sun rise over the north, revealing that region in great detail for the first time. This view looks toward the sunlit side of the rings from about 44 degrees above the ring plane. 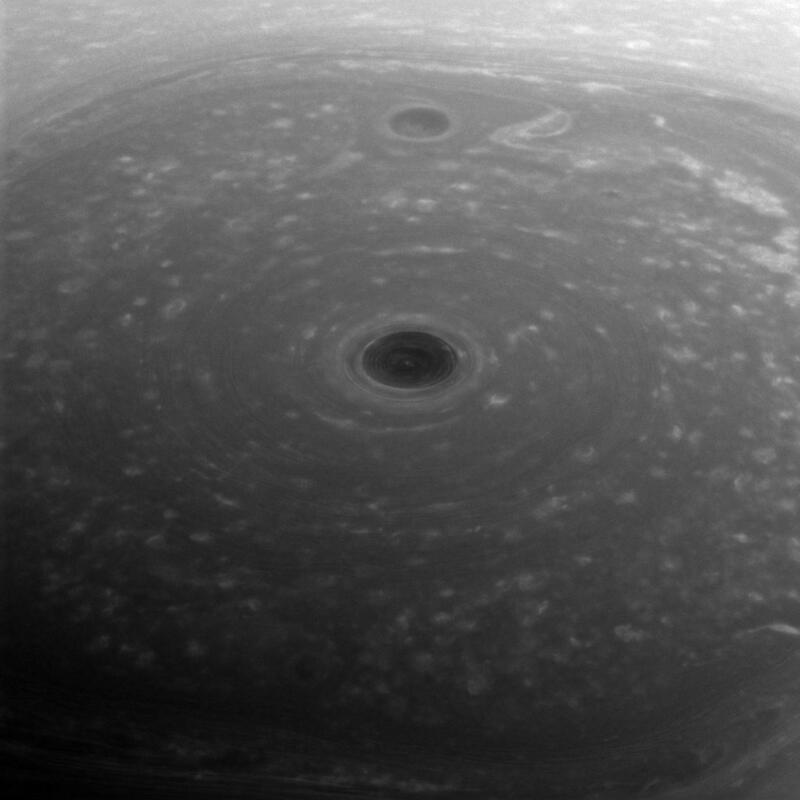 The image was taken with the Cassini spacecraft wide-angle camera using a spectral filter which preferentially admits wavelengths of near-infrared light centered at 752 nanometers. 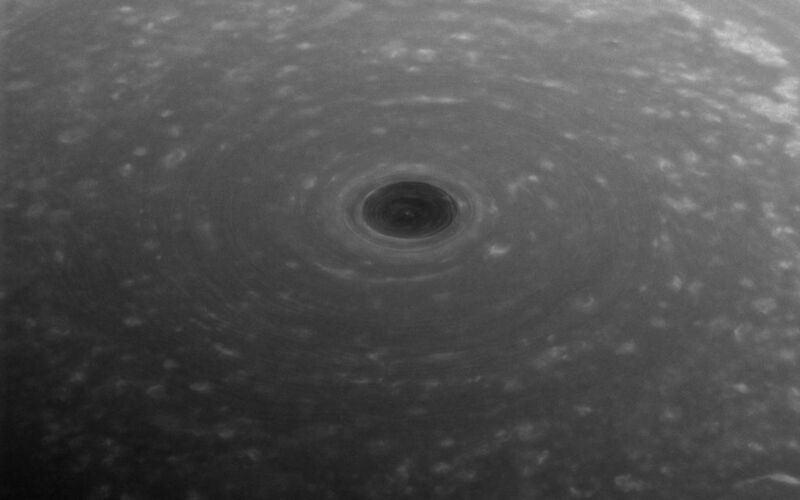 The view was obtained at a distance of approximately 166,000 miles (267,000 kilometers) from Saturn. Image scale is about 10 miles (16 kilometers) per pixel.